Here at Magora we design and develop digital products including mobile apps, websites and web applications. The two cornerstones upon which we build successful software are user-centered interaction design and scalable software architecture. Whether a B2C or a B2B project, start-up MVP or a bespoke enterprise solution, first of all, we take the time to understand your business, your product and the end-user’s needs. Our software development cases are loved by users for their convenience and appreciated by customers for the real value they add to your business. Over the years iOS application development has been a top priority for Magora. With the introduction of iOS 11, Apple has set a new standard. By the same token, our development team has reached new heights in building iOS apps and successfully launching them in the App Store. Magora is at the forefront of IT trends, implementing the modern libraries, such as Alamofire, RxSwift, PromiseKit, CocoaLumberjack, Mantle, and cutting-edge frameworks, like Core Data, Home Kit, and Core Spotlight. Our app developers's progressive approach to iOS programming allow iPhone and iPad users to get all the smart features, announced by Apple, increasing loyalty and satisfaction. Android OS is the perfect platform for businesses, reaching out to the largest pool of buyers. In each project realisation, we are thinking about the objectives of your company and user satisfaction. Our Android programmers are creating reliable, fast and engaging apps, implemented in the bespoke software data privacy protection, battery-life savings and user-friendly interfaces. In spite of the fact that the development for Android is taxing, due to the variety of smartphone and tablet models, as well as screen sizes and resolutions, such projects lets us demonstrate the level of proficiency and creativity. Having a deep understanding of the user preferences, and experience in all aspects of UI design to cover the complicity of app creation for a variety of smartphones and tablets, Magora experts work hard to provide you with a brilliant digital solution for the Android market. Here at Magora you will meet ambitious web app developers who are looking for new challenging tasks. We can tackle projects of any scale and complexity, and have enough expertise to integrate the client’s software and hardware within a new web application. We are experienced in third-party code review. And can finalise any job, which has failed to be completed by other third-party programmers, or has taken too much of your in-house team’s time. Our expertise covers such programming languages as Java, JS, PHP, C#, C++, SWIFT, Python, Shell, Ruby, Objective-C and many others. We also utilize a wide variety of frameworks, like React Native, Angular.js, Backbone.js, Vue 2.0, Ember.js, Meteor.js, Underscore.js, Require.js, and use modern libraries as JQuery, JSON, Spin.JS, Elmah, Autofac, EntityFramework, ASP.NET MVC to deliver quality projects within the shortest time. Our programmers are working hard to create fast-loading and responsive bespoke software to supply your business with a desktop enterprise app, web XML service, or a tailor-made e-commerce platform. Storage database, offline website usage, GPS integration and recognition of the user’s location based on profile details are just a few of the benefits, which can be implemented in your project. Magora developers are ready to create responsive bespoke programmes, whether it is PaaS, SaaS, or enterprise integrated system. We have plenty of experience in development apps and desktop software for different business niches. More than 200 successful desktop software projects, and a growing number of happy clients vouch for our proficiency and reliability. Windows 10 Mobile was released in January 2015, as a mobile operating system for smartphones and tablets. This operating system is focused on unification with Windows 10 for PCs in services and applications.It is still a continuation of the Windows Phone OS, and all Windows Phone devices can be upgraded to the platform. Software for Windows 10 Mobile, created with the Universal Windows Platform, allows developers to design applications for multiple product families running Windows 10, with nearly identical functionality. In order to deliver to you an amazing Windows-based bespoke application, every day we seek to explore the innovations in Microsoft software development, UX and app design trends. Windows 10 is already being touted as one of the great shifts in the world of technology. And with the new IT tools, like Windows Desktop Bridge, the Windows App Package, and UWP APIs for our UK app developers it's becoming even more exiting to provide you, our clients, with a new Windows-based software solutions. With implementation of Fluent Design System and NET. Standard 2.0 libraries, we are ahead of competitors in creating stable, vulnerable and fast downloading integrated systems. Our expertize in development apps helps our clients to monetize their product/services via the Windows Store easily. On the Windows Store, our application downloads have already passed the multi-million mark. Whether adhering to an existing look or building a visual brand book from scratch, Magora developers in London will make sure that company brand is duly represented in content. Our years in UI/UX design allow us to advise start-ups as well as work with established brands and to adapt their offline products and services into mobile solutions. We will make sure your application is delivering the right message, from the brand inception to the target market end user. From our initial discussions about your requirements for the project to a detailed wireframe and prototypes of your mobile app development or bespoke software solution, we take our clients through a full process of product development and testing. Every click and swipe made by a user is analysed, weighed and considered when developing your interface. 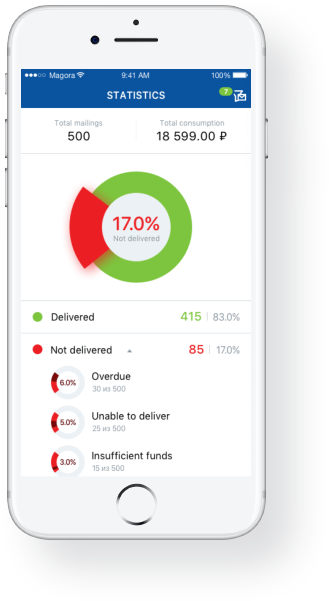 Our app developers in London endeavour to make user interfaces that not only look elegant and simple but are also connected with the brand and purpose of the application. It is our design experience across all major platforms, including iOS and Android, that allows us to produce products of the highest quality. We work collaboratively with our clients - from an initial idea to final concepts of first-class user interfaces - with an eye to creating beautiful designs and exceptional functionality. Documenting every interaction the user will have with the application, all our projects go through a process of High-level requirements clarification and wireframing. Documenting a user’s journey through an application and the architecture of a project starts with a basic site map of the product and ends with a detailed feature list and workflow of the application. The parts of any digital product, application or website that must operate seamlessly are interface elements that the user will interact with. It is important that nothing is omitted, from the launcher icon to the logout button. An appealing design, information architecture and user experience is key to a successful digital product. Apps by Magora go the extra mile to ensure that the end user will enjoy the visual experience and ease of navigation through your app with our innovative and user friendly designs. We utilise the latest technologies to provide users with a seamless experience whilst using your application. Our team of experienced designers ensure that the app meets the strictest guidelines and satisfies functional demands brilliantly. We design intuitive, elegant and engaging user interfaces for all platforms, in conjunction with and ahead of the hottest trends and newest techniques. We produce products that supply the end-user with the most refined experience, starting by working closely with existing brand guidelines and preferences. Magora’s latest case study is a mobile application created for Danone - a multinational food corporation that produces dairy products, water, baby food and medical nutrition. 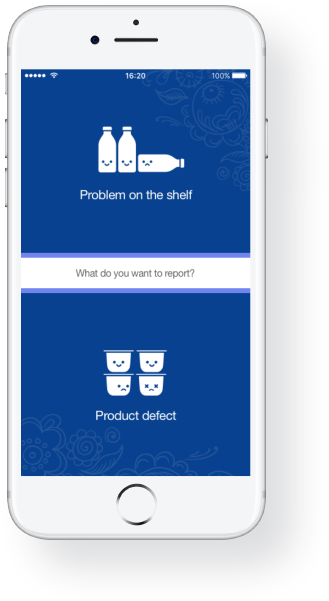 The company wanted to develop an app for product quality control that would enable information on product placement and defects in the retail environment to be sent to the quality control department. InnovoCare is a new application which helps to calculate the true costs of healthcare services for medical centres. When we first met Lars Hegstrom, one of the founders of InnovoCare, we could not imagine where this project would take us. A recent project developed by Magora for a marketing service provider involves an SMS marketing tool that streamlines bulk messaging. The native apps for Android and iOS boast robust functionality that includes message management, campaign performance analytics and support for various message types. SMS centre has been successfully deployed by various businesses as an efficient tool for text message advertising campaigns. ShowApp is a mobile application that offers an exciting new way to create, manage and promote events, both large and small. Using the latest technologies, ShowApp is already making inroads in the events industry, expanding outreach and generating profits for the app owner and users alike. Magora delivers on time and on budget, and they are a serious, dedicated development team and strong communicators. We have been very satisfied with the work that has been completed by Magora. Magora is much more invested in the relationship as a whole and making sure you're happy. Even the most viral apps need a little help to get started and that’s exactly why any successful launch is highly dependent on a well thought out marketing campaign. The right marketing strategy counts for everything, not at the least because app stores are over-saturated marketplaces. Nobody wants their apps to lie unnoticed at the bottom of the list – and its strong marketing that differentiates between successful apps from the forgotten ones. To promote the launch of your digital products and applications and arrange for it to be reviewed in the right publications, Magora conducts a full media outreach campaign. We can supply media with demonstration videos (and create the videos) or write a compelling press release – all this works to maximise the saleability and usefulness of your product. The best London app developers are ready and waiting to help you to create a convenient and flexible system of management and analysis. We are ready to develop an automated reporting system tailored to your needs. We can add the functionality of scheduled mails with report updates, as well as to implement the overview of the results in different formats, like PDF, XLS and CSV. We can also integrate this data to your corporate CRM. Our app developers in London can create additional functionality for coordination with a Google Adwords campaign making for effective search engine optimisation to attract more potential desktop and mobile users. Social Media: we target users by their profiles on Facebook to raise product awareness. We reach out to bloggers for reviews in order to create an online buzz and contact Tweeters to generate reviews and increase followers. Search marketing: to target both online and mobile consumers who are in search of relevant phrases and keywords. Magora can help you to easily manage a Google Adwords campaign: all advertising will be controlled, analysed and optimised. Search optimisation: to improve the discovery of your app on both the App Store and traditional search engines such as Google and Bing, we help you to write a compelling App Store description that is optimised for search. Media quotations: we provide positive professionally created media quotations that can be included in your App Store description. During your app’s first week of release, we can organise early user reviews to be published in the US and the UK App Stores. We ensure that tentative store browsers are able to see plenty examples of user feedback for your product and find this method increases an application’s chances of success. Magora app developer team can support your business with microsite development or assist with designing the web app or mobile application to help promote your company awareness. Find out more information about Magora app developers on our channel.